This year’s Non-Members shows (also known as the Open Shows) have been relocated to Denise Bibro’s Gallery at 529 West 20th Street in Chelsea. In addition to the award winners, most of the participating artists braved the sweltering heat on Thursday, August 2nd to attend the opening/awards reception. The photography and graphics show continues through August 10th. The Non-Members Painting and Sculpture Show opens August 14th and runs through August 24th, also at the Bibro Gallery. 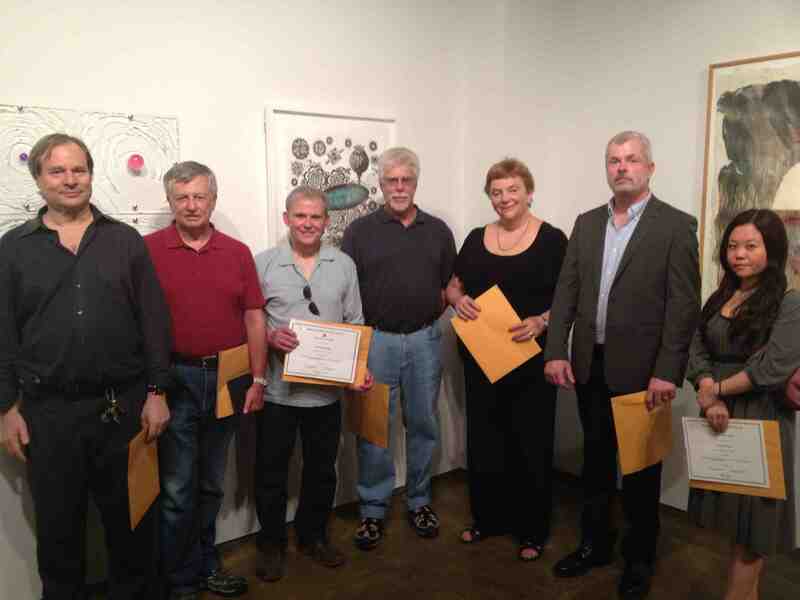 Award Winners (L-R): Ken Weissblum, Gil Weiner, Marv Kaminsky, Robert Carlsen, Alice Shafer, Frank Mullaney, Atsuko Kawai. 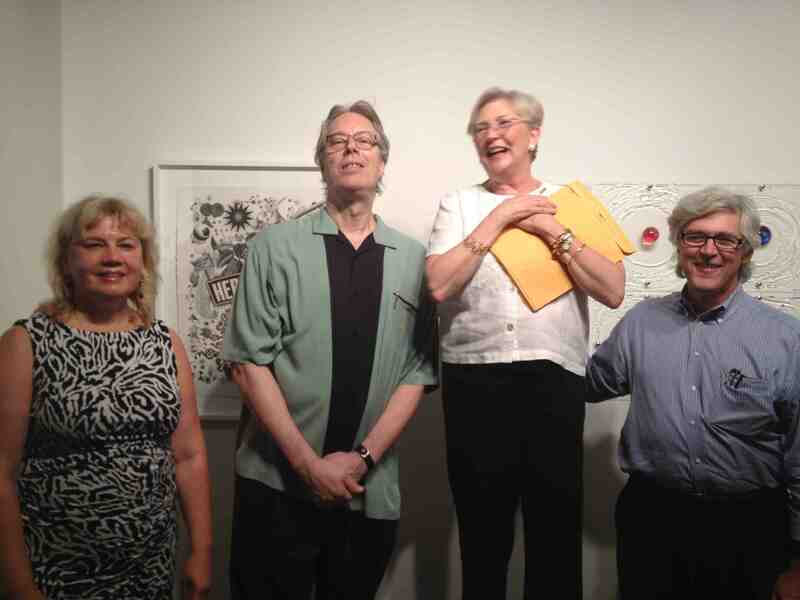 (L-R) Denise Bibro, Charles Yoder, Claudia Seymour, Robert Pillsbury.